Man, what a miracle filled week! We started off the week with a bang! Monday evening we actually had to end our P-day a little early because we had some appointments down in Morris which is about an hour drive. So, the week before we visited on of the Hispanic families here - the Hernadez family. We asked them if they knew of anyone else who we could reach out to. 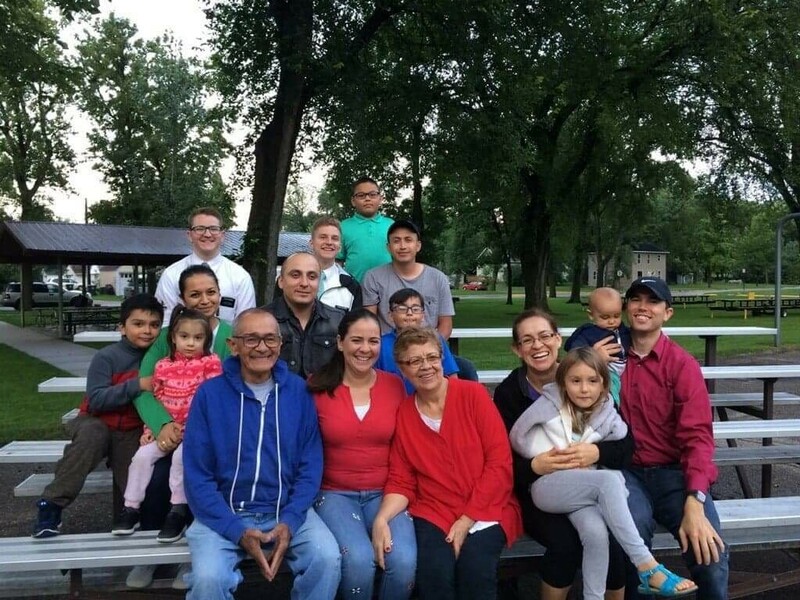 They told us there was another Hispanic family living in Morris but their records were still in Minneapolis. We were like, WHAAAT there are more Spanish members here?! So, we went over the next week to invite them to the Spanish Family Home Evening we had on Monday. The wife answered and when we told her about the Spanish group we are trying to form in Morris, she was so astonished. She sat down on the step, and she started to tear up. She told us that she and her husband had been praying for this for 3 years! Just to see the joy on her face at that moment was absolutely priceless. They came to the FHE and we had a wonderful, spirit-filled night with 4 Hispanic families, 16 people in total!! So amazing. Remember that guy from Texas we brought to church last week, Ruben? We met with him again this week and we felt like we needed to talk about the Holy Ghost with him. In our lesson he opened up to us and explained that ever since going to church, he has felt this feeling he remembers as a kid - a warm feeling of peace inside. Everything in his life seems to just be falling into place ever since we knocked on his door! It's amazing to see how prepared he is to receive the gospel of Jesus Christ in his life!! He came to church again and we had a great testimony meeting. Ruben totally took us off guard too because he got up there and got up there to speak, just his second time coming!! It was so sweet. Lastly, we got a referral from the Minneapolis Hermanas - a Hispanic lady named Felicitas who moved to our area. She had ordered a copy of the Book of Mormon online, and we delivered it to her, explained what is was and that it will help her to come closer to Christ and find peace in her life. We gave her a chapter to read, set up a return appointment and didn't think too much of it. When we went back to see her, she immediately just unloaded a bunch of questions on us. Turns out, she didn't just read 3 Nephi 11 (the chapter we assigned), but she read 17 more chapters after that! She said she couldn't put the book down! She explained that this feeling of peace in her heart overcame her, and all throughout that week she was so much more patient with her kids. It was funny because she said (pointing at me) "I think he put something in my book that made me cry! The last time I cried was 5 years ago when my mom died, and ever since then I haven't been able to cry, but when I read this I cried like never before.. And it's all his fault!" haha. Yet another witness that the Holy Ghost testifies of truth! We're super excited to see Felicitas read more and progress towards baptism. We also had interviews with President Barney this week. We spent two full days in St Cloud, Minnesota - One for interviews and a zone meeting, and the next day we blitz the zone leader’s area. So now I can officially say I’ve served in Marshall’s home town from the show ‘How I Met Your Mother’ hahaha. 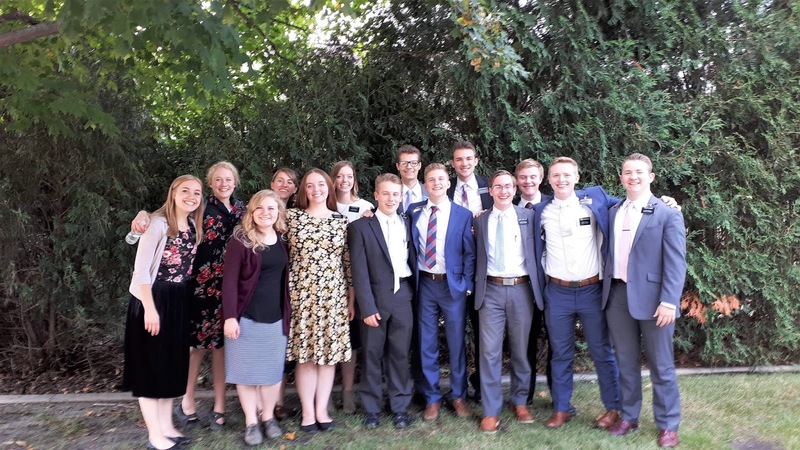 I don’t think I’ve ever been happier as a missionary! To know that I am where the Lord needs me to be and seeing those around us find peace and joy in the gospel of Christ has such an incredible experience that I won’t soon forget. I love you all so much. I love my Savior Jesus Christ and I know he lives!